Medieval Jewish history has a very long arc. Some scholars put the start of medieval Jewish history, with its prominent Jewish community in Muslim lands, with the beginning of Islam in the 7th c. Others start the period with the emergence of the rabbis and the yeshivot in Babylonia as the beginning of the period. While there are a variety of academic views on when exactly the medieval period for Jews begins and ends, all agree that it concludes with the emancipation in France in 1791 when Jews emerged from the ghettos of Europe to begin the process of attaining equal rights of citizenship. Foundation for the Advancement of Sephardic Studies and Culture – offers academic papers, documents, materials in Ladino and personal memoirs about the Sephardic experience. Internet Medieval Sourcebook – located at Fordham University’s Center for Medieval Studies. This site offers many sources relevant to medieval Jewish history, including documents related to the First Crusade and the Jews of the Rhineland. Libro, The Library of Iberian Resources Online – offers full texts of books and monographs about Spanish and Portuguese history from the fifth through the seventeenth centuries. Medieval Jewish History Resource Directory (The Dinur Center for Research in Jewish History, The Hebrew University of Jerusalem) – provides topical links to primary and secondary web sources. Poland: Early Modern (1500-1795) – article by Moshe Rosman in Jewish Women: A Comprehensive Historical Encyclopedia (Jewish Women’s Archive). This thorough article discusses the role of Jewish women in early modern Polish Jewish society, education and culture. When These Streets Heard Yiddish – website for the Educational Program on Yiddish Culture, created by the YIVO Institute. Includes articles, photographs, maps and other interactive features about Jewish culture, society and religion in E. Europe. Download curriculum materials and monographs that are companion to the website. YIVO Encyclopedia – contains hundreds of articles, images and video about medieval E. Europe. There is also a special section for educators, with lesson plans, PowerPoint slides and handouts. Medieval Hebrew Poetry — Find English translations of poems by Yehuda HaLevi, Shmuel haNagid, Moses ibn Ezra, Abraham ibn Ezra, and Solomon ibn Gabirol. See also academic articles about Hebrew poetry. Printer, Publisher, Peddler: The Business of the Jewish Book – exhibition at the University of Pennsylvania on the printing of Hebrew books since the development of movable type in the 15th c.
Afghan Geniza – Acquired by Israel’s National Library in January, 2013, the set of 29 documents in Judeo-Arabic, Judeo-Persian and Muslim Arabic illustrate Jewish life from the 11th c.
Autographed Letter of Abraham, Son of Maimonides, Early 13th c.
Cambridge Digital Library – includes digital exhibitions of Hebrew manuscripts and over 400 samples from the Cairo Genizah, with a digital viewer and in translation. A link is also available to the Taylor-Schechter Genizah Research Unit at Cambridge University. Penn/Cambridge Genizah Fragment Project — Collaboration by the University of Pennsylvania and Cambridge University to bring fragments of the Cairo Genizah online from various locations worldwide. Site provides background information and viewers can search fragments and compare images. A Commonwealth of Diverse Cultures: Poland’s Heritage – multimedia site that gives a brief glimpse into the various cultures (Christian, Muslim, Jewish) that made up medieval Poland. 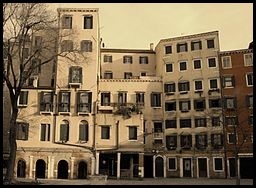 Jewish Community of Venice – Essays on the Venetian ghetto, link to Jewish Museum of Venice, map of ghetto with photos and essays of each institution (synagogues, bet midrash, etc.). Jews, Commerce and Culture – online exhibition from University of Pennsylvania Library. Items exhibited include: historical books; bills of trade; maps; advertising and photographs. “Expulsion of the Jews” Interactive Map — This map is in the Online Learning Center component of the book The West in the World (Third Edition) by Sherman and Salisbury (McGraw-Hill). Clickable options allow viewer to animate Jewish migrations to 1500, expulsions in the 13th to 15th c., as well as areas of Jewish settlement and the destinations of Spanish Jews. Heritage: Civilization and the Jews – website includes scenes from 1984 series hosted by Abba Eban, divided by time period. Also includes lesson plans, timeline, and links to web resources for each time period. 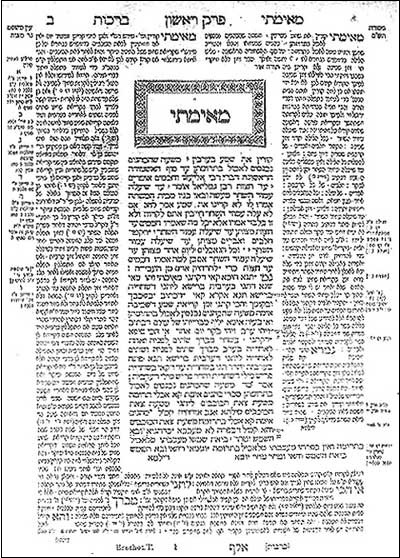 Image Maps of Jewish Texts (Eliezer Segal, University of Calgary) – digitized pages of the Talmud, Mishneh Torah, Shulhan Arukh, and many other important texts. Jewish Museum in Speyer, Germany (video) – shows reconstruction of the medieval synagogue, mikveh and objects discovered in digs around the site of the oldest Jewish community in Germany. 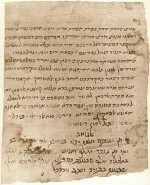 A Medieval Mystery — From the National Archives of the United Kingdom, this is a mini-lesson about the Jews of Norwich. Found on a 13th c. Exchequer Roll, the negative images of Jews form the basis of a lesson in the economic, political and social roles that Jews played in England just prior to their expulsion. The Musical Legacy of Al-Andalus – through map and music, shows the spread of culture through music, including Jewish music.